I love to participate in The Broke and the Bookish Top Ten Tuesday. It's a blog round up with a new question asked every week. 1. 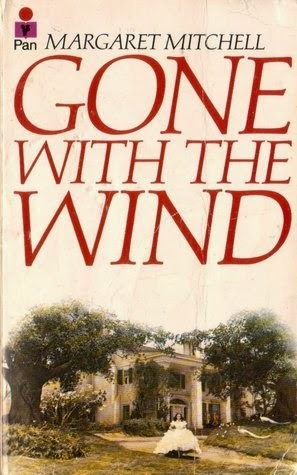 Gone With the Wind by Margaret Mitchell. Because, duh. 2. Mystic River by Dennis Lehane. Lehane's books are always character driven, but Mystic River is especially focused on the main characters, Sean, Jimmy and Dave. 3. The Shopaholic series by Sophie Kinsella. These books are all about Becky Bloomwood - everyone else just orbits around her. 4. The Good House by Ann Leary. Hildy was a character you were rooting for, even as you saw the mess she was making of her life. 5. Green Angel by Alice Hoffman. Girl alone at the end of the world. 6. The Strange and Beautiful Sorrows of Ava Lavender by Leslye Walton. A most unusual book about a strange and wonderful girl. 7. The Stephanie Plum series by Janet Evanovich. The characters in here are memorable and impressive. But the series have been feeling recycled lately. I have the latest one on my kindle and haven't gotten around to reading it yet. Hope it's great! 8. Night Road by Kristin Hannah. I cried so much reading Jude's and Lexi's story. Such as awesome read. 9. Shell Seekers by Rosamunde Pilcher. Penelope Keeling is one of my all time favorite characters. From childhood to death of old age, loved every minute with her. 10. Gone, Girl by Gillian Flynn. Mostly driven by the character of Amazing Amy.